The whole country waited for the movie which has been shot almost for three years. Lavish sets have been erected in acres of open area in Ramoji Film City, Hyderabad. Prabhas, Rana, Tamannah, and Anushka played the lead roles in Baahubali: The Beginning and Satyaraj, Nassar, Ramya Krishna played the other important roles. Baahubali: The Beginning emerged as the third highest grosser in the history of Indian cinema and the film collected Rs 600 crores across the world. Bahubali: The Beginning smashed all the existing records in South Indian cinema. The performances by the lead actors, flawless direction, rich visuals, and the grand VFX effects are said to be the major highlights of the movie. KK Senthil Kumar handled the cinematography and MM Keeravani composed the music. ShobuYarlagadda and Prasad Devineni produced the movie on Arka Media Works banner. SS Rajamouli has been praised for his stupendous work for the movie all over the world. 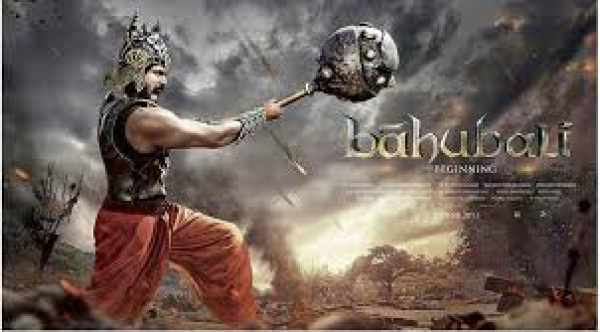 Baahubali: The Beginning has been screened in many International film festivals and the critics have applauded the film for its sound VFX work. Revealing about this Rajamouli spoke during an interaction with the students of IIT, Chennai. He said, “Graphics is now playing a key role in films and with the advancement of technology on a daily basis one should be aware of the VFX work. We have spent Rs 22 crores on the VFX work of Baahubali: The Beginning which may be huge but the movie needed those grand and rich visuals. I always wanted some perfect quality graphics and we have some world class equipped studios in Hyderabad which are equal to the International standards”. Rajamouli has been busy with the pre-production work of Baahubali: The Conclusion from some time and the regular shoot of the movie started on December 17th after six months. Rajamouli has taken extra care on the script of the second part and huge sets have been erected recently in Film City to shoot some war episodes and important sequences of the film. Prabhas, Rana, and Anuskha will play the major roles in Baahubali: The Conclusion. The regular shoot of the film will be wrapped up by July next year and Rajamouli will take enough time for the post-production work of Baahubali: The Conclusion. The movie will complete all the formalities and will release all over in Telugu, Tamil and Hindi languages during January 2017.